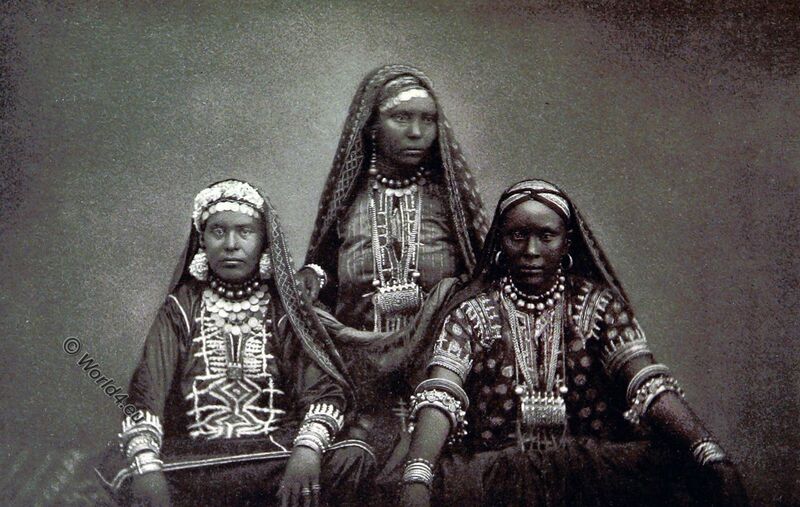 Home » Women from Aden, Somalia 1885. Left: Arabian woman. Middle and right: Native women from Somalia in traditional dress. Source: Around Africa. With 14 light prints and numerous illustrations, etc “, by Wilhelm Joest. Cologne 1885.